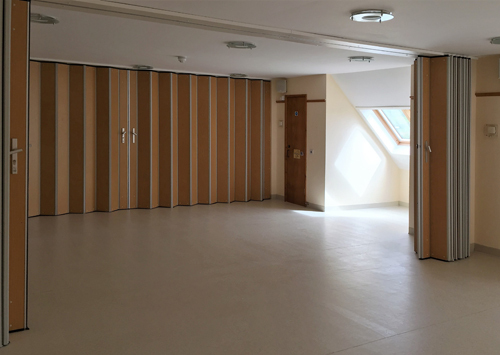 Spacious entrance facility using the full height of the hall, with toilets for ladies and gentlemen. Separate disabled toilet and lift to the first floor. Additional disabled toilet facilities are available on the first floor. Our special and well-designed hall seats up to 200, offering a bright and well-appointed venue for all occasions. The hall has staging, a professional stage lighting bar with professional lighting equipment, plus a wireless p.a. system. The stage area can be increased with the use of demountable stage blocks to facilitate other entertainment and functions. There is a fitted hearing loop. The hall has underfloor central heating making it a very comfortable venue. The French windows open onto a large patio area overlooking the playing field and the Somerset Levels. 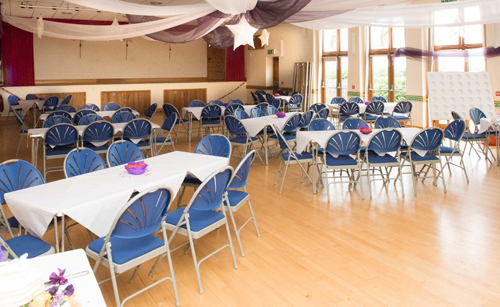 The venue is ideal for functions and entertaining, exhibitions and craft fayres. There is a village hall marquee which can be erected to cover the patio area. Off the main hall is a storage area containing 100 folding chairs; a selection of other chairs is available. The hall has nineteen large oblong tables, ten smaller rectangular tables, plus fifteen large round tables, with linen available for all. The hall has WiFi, which is available on application depending on the booking criterea. Adjacent to the kitchen there is a well-equipped bar. 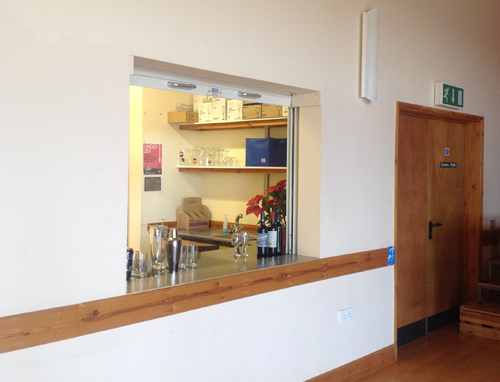 There is currently a freezer in the bar as well as a sink, serving hatch to the main hall and external access. The main hall and committee room have access to toilets in the large foyer with a disabled toilet and a disabled lift to the first floor. The hall has a SSDC Premises Licence Number 012888. Live entertainment may be carried out between 0800 and 0000. 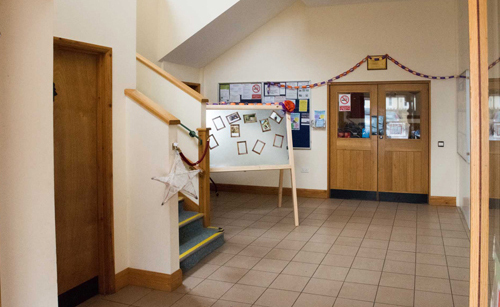 Barrington Village Hall operates a ‘Child Protection Policy’. The car park has space for fifteen cars, with additional parking on the grass, subject to weather conditions. The Kitchen is very spacious with ample work surfaces. It is fully equipped with an eight hob/double oven range cooker, large catering fridge, a professional dishwasher, microwave, two sinks, plate warming cabinet, extensive cutlery and crockery, a carousel of coffee crockery, and a hot water heater. 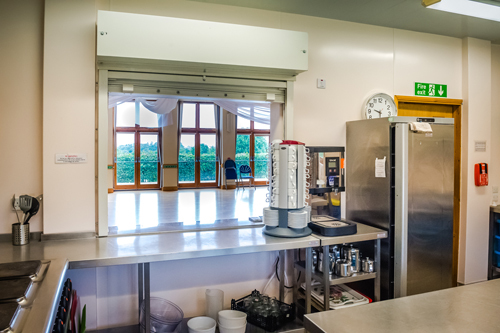 The kitchen can cater for approximately 100 diners. The electric equipment is run by a coin operated meter. There is a serving hatch into the main hall. The kitchen has a Food Hygiene Rating of 5. There is also access via a staircase at the rear of the building to the ground floor exits and the stage area. 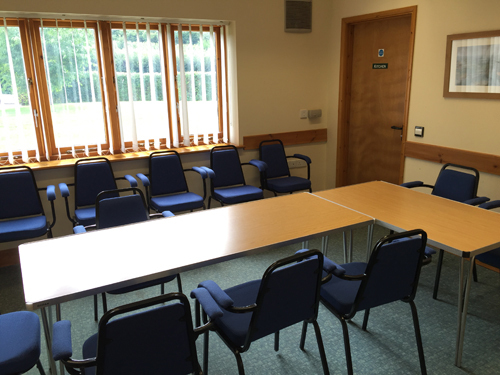 A small meeting room for up to 20 delegates, or 12 boardroom-style, with access from the main foyer and to the kitchen.